Audiobook Sync 2017 Kicks off Today! 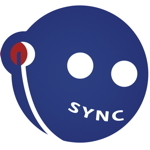 Audiobook fans rejoice – Audiobook Sync 2017 is back today! For the next 16 weeks, SYNC offers 2 FREE audiobook downloads for your listening pleasure. The audio selections include a current title paired with a related classic title that’s based on a weekly theme. Audiofile Magazine and the audiobook publishers sponsor this program to introduce the joys of listening to the YA audience. Here is the list of 2017 Sync titles. The 2017 Audiobook Sync titles are in MP3 format and titles are available through the OverDrive App. You can get the lowdown on the SYNC download prep here. Each download will be available for 7 days so don’t miss out on your free YA audiobooks from SYNC! After you download the audiobooks though you can listen to them at your leisure. Text syncya to 25827 to receive alerts when the latest titles go live. Read more about the program at SYNC and follow their blog for updates. Some of the titles have international restrictions – go here to see availability by country. You can download both titles starting today! I have listened to The Dead House and you are in for a treat with this one. It’s a creepy and thrilling read that really shines in audio format. Happy listening!